The Model #900 Hex Socket by Beta Tools fits a 1/4" drive and is available in a variety of metric socket sizes. 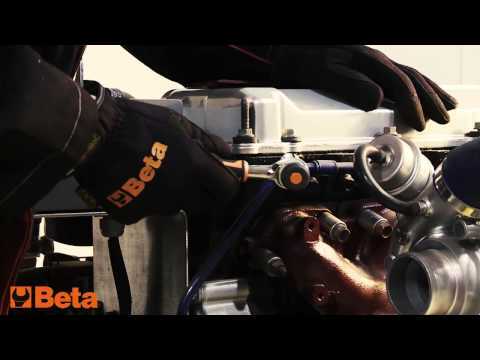 The Model #900 Hex Socket Set by Beta Tools includes 4, 4.5, 5, 5.5, 6, 7, 8, 9, 10, 11, 12, 13, and 14mm sizes for a 1/4" drive. The Model #900/58 Reversible Ratchet by Beta Tools has a 1/4" drive and a twist-action handle. This innovative design allows you to use the tool with a normal ratcheting action or turn the handle which will also rotate the socket. If you have selected forward or reverse, you can turn the handle or you can just twist it back and forth and the socket will continue to rotate in one direction, whichever you have selected either forward or reverse. This is great when you have an extension bar because it's easier to keep the bar steady while ratcheting if you are just twisting the handle. Also imagine all those times when you have very little room to ratchet, you could just turn the handle or twist it back and forth to loosen or tighten fasteners.